How to order and use our website? Choose a suitable product/products and add to a shopping cart. Fill in your details when submitting your order and select the way you want to receive the product. After submitting the order, you will be contacted and the details of the transport (amount of transportation and delivery time) will be specified and the invoice will be issued. Is it possible to pay at Tartu warehouse? We accept only invoices and transfers. It is not possible to pay by cash. How can be your prices so cheap? CityRamp OÜ lacks large warehouses and customer service, so we can offer to you best price. We keep the products in stock in a minimum quantity. Every week we order products, which are out of stock in our warehouse. Is it possible to come and have a look your products or can I only make an order by phone/e-mail/website/webshop? Orders can be made only in our webshop at www.ramp.ee/en/shop, but before the purchase, it is also possible to check the item in our store at Tartu. I don't live in Tartu, but I would like to buy on cityramp webshop. Is it possible or how is the delivery organized? After submitting the order, you will be contacted and the details of the transport (amount of transportation and delivery time) will be specified and the invoice will be issued. If the products are injured in the course of transportation, what should be the act and what happens next? We ensure that the products dispatched from our warehouse are correctly packaged. If you. should have a broken package, then please notify us immediately on the delivery page of the transport company. If it is possible, then also make a photo. Damaged or broken products are replaced by a new one and their transportation is free of charge. Without making a note about the products on the delivery page, we can’t accept damages of products. Our company plans to buy from Cityramp webshop for the first time and therefore we must pay a prepayment. Is it still safe? It is possible to come to our warehouse before making a purchase. If any product has a longer delivery, then the conditions for payment will be negotiated separately, i.e. you will not always have to make 100% prepayment. How soon will the products be delivered to us after placing an order? After confirming your order, we will check that the products are in stock and calculate the cost of the transport according to the delivery address. If the products are in stock and you don’t have to pay in advance, then the products will be issued on the same working day. Transport companies usually deliver the products for the next working day. What kind of discounts your company offers? 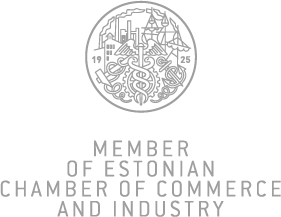 When ordering products over 2000 EUR + VAT, then transportation is free for you in Estonia. We always offer the best price to our customers and if you should find a similar cheaper product from another provider, please let us know and we will try to make for you an even better offer. CityRamp OÜ specializes in office furniture, warehouse equipment and lifting equipment sale.